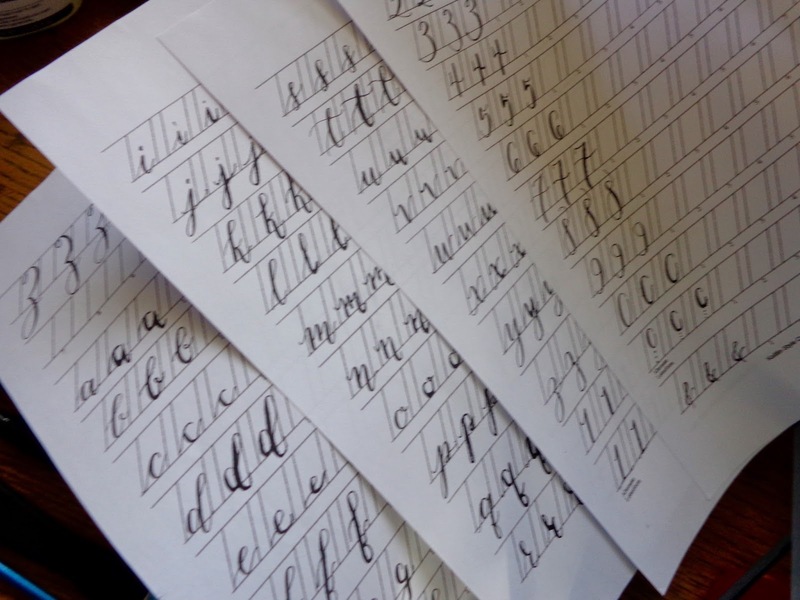 Calligraphy notes: The paper I printed these worksheets on way back in April (before I knew that type of paper matters) was not a good choice. So the ink bleeds, but I'm using the sheets anyway. On the plus side, I'm finding my oblique pen easier to use than the straight pen!